We proudly represented the buyers of this charming single level San Roque cottage! After representing our clients in the sale of their Montecito cottage in an off market transaction, we helped them find a replacement home that better fit their needs. 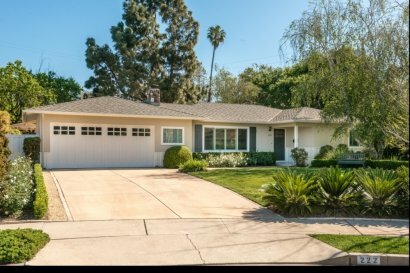 This tastefully updated home in San Roque boasts beautiful curb appeal and an extra large backyard at end of the cul-de-sac. Featuring hardwood floors, remodeled kitchen & bathrooms, newer roof, newer A/C, and extensive landscaping that has greatly opened up the back & side yards. The immaculately landscaped backyard serves as a perfect entertainment area, featuring beautiful decking, a charming gazebo, and expansive mountain views.